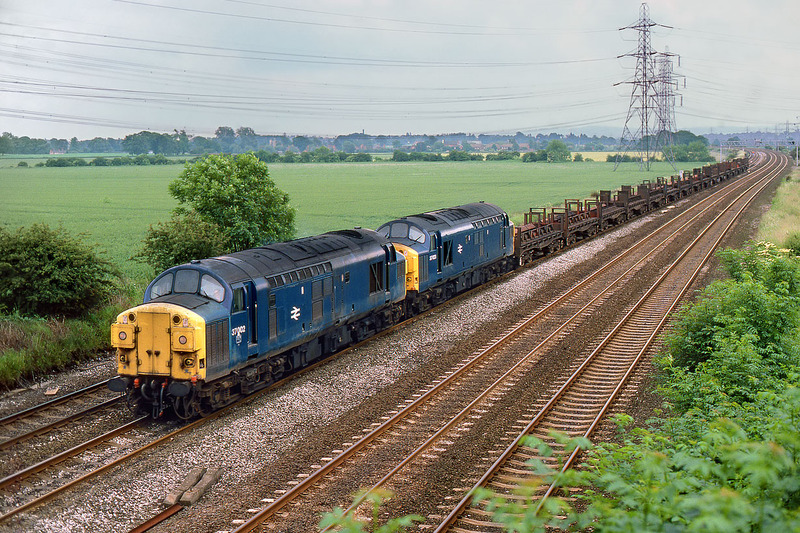 37002 & 37023 growl past Ratcliffe-on-Soar on 1 July 1985 with the 6E40 10:23 Corby to Lackenby steel coil empties. Unfortunately it was a dull day, but I wasn't going to miss the chance of a pair of blue 37s, especially as I have got very few pictures of this particular working. On the plus side, it did brighten up later in the day in time for the loaded southbound train behind 37193 & 37071.